The evolving sophistication of backup and recovery technology and the utilization of cloud as an operating system make it possible to remodel cost structures. This article discusses how this will benefit cloud vendors as well as customers and how a new payment approach appeals to the age of proactive compliance. The rapid adoption and proliferation of remote working, mobile connectivity and cloud applications has created a mishmash of network architecture that is susceptible to risk and unsustainable. This article discusses cloud-based options to tackle the challenges of modern network security. There is a fundamental shift in the biometrics market from a small number of government projects to a huge number of enterprise/commercial projects. This article discusses what biometrics are, how the commercial use case differs from the government use case, and what to consider when implementing a biometrics system. User and Entity Behavior Analytics (UEBA) is the more advanced, more exciting evolution of a very familiar concept: statistics. This article predicts that in 2017, there will be two significant trends in the UEBA market and the use of the technology itself. As more companies attempt to adopt DevOps for software development activities, the gaps in DevOps tools are becoming much more apparent. This article predicts that more enterprise-class DevOps tools will become available in 2017 to address these gaps and discusses why cloud sandboxes will become a must-have. The idea of storing data and other information over the internet can be unnerving. How can you be sure no one is accessing your business files or altering your information? This article discusses cloud strategies to ensure that vital data is secure and gives tips for the most reliable security methods. 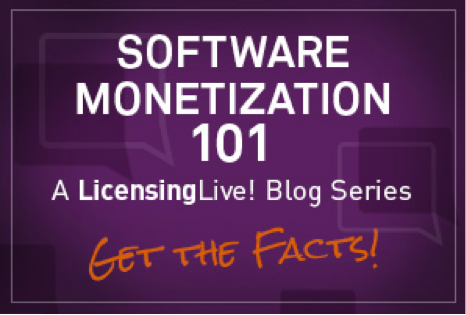 Gemalto presents Software Monetization 101 – a blog series that examines commonly misunderstood terminology in the software protection, licensing and entitlement management space. For example, the difference between terms such as “licenses” and “entitlements” may be subtle; but that doesn’t mean they can, or should, be used interchangeably. It’s easier to maximize the value of your software when you speak the same language as the rest of the industry. Let us know which terms you find confusing and we’ll try our best to cover them in a future post. Waterstone Management Group is developing a series of papers that explore various Subscription Scorecard metrics in depth. In this installment, the company explores the different ways to calculate retention, the value of higher retention and how to determine the cost of customer retention. NetSuite is a leading vendor of cloud computing business management software suites. NetSuite enables companies to manage core key business operations in a single system, which includes Enterprise Resource Planning (ERP), Accounting, Customer Relationship Management (CRM), and Ecommerce. NetSuite's "real-time dashboard" technology provides an easy-to-use view into up-to-date, role-specific business information.